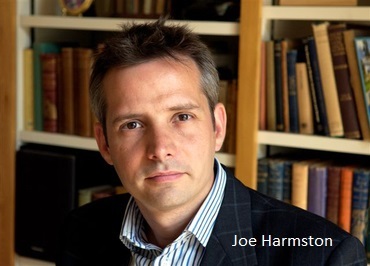 Joe Harmston is a British theatre director, whose career spans nearly twenty years. Highlights of his career have been the world premiere of ‘King James’ Ear’, ‘The Lover’ and ‘The Collection’, which he directed at The Donmar Warehouse starring their writer, Harold Pinter. With Bill Kenwright he created the hugely successful Agatha Christie Theatre Company, while at the other end of the spectrum he continues to champion new writing projects on the fringe. In spring 2012 he commissioned and directed a landmark re-interpretation of Strindberg’s ‘The Father’ at the Belgrade in Coventry, where he is Associate Creative Director, and for which he was nominated for Best Director in the 2012 TMA Awards. 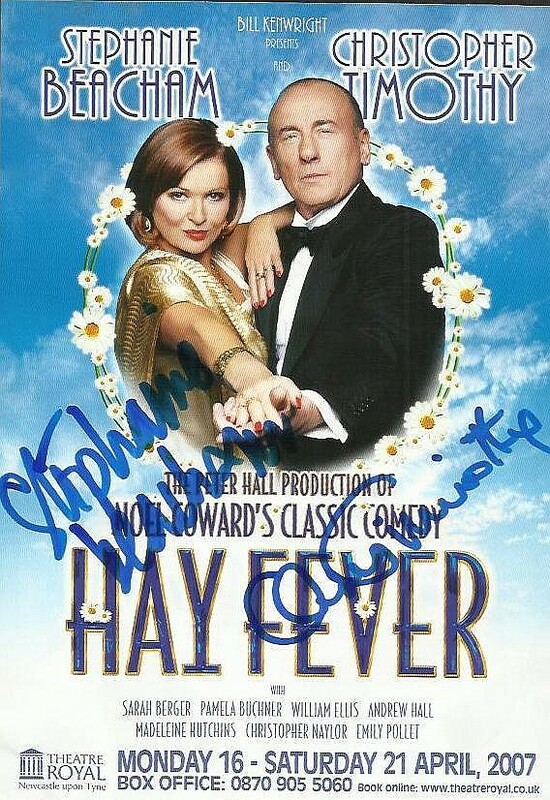 I first worked with Joe on a tour of Noel Coward’s ‘Hay Fever’ for Bill Kenwright, starring Stephanie Beacham and Christopher Timothy. 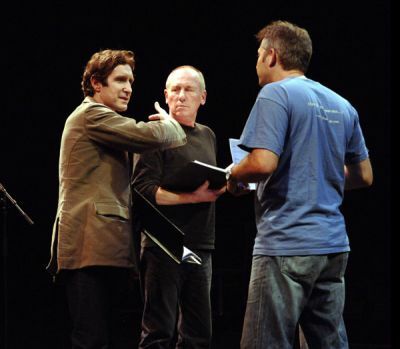 Chris Naylor: The acting business has changed a lot since I started 16 years ago – in those days when I got an audition, my agent would tell me about who was directing it and what they’d done, but it wasn’t as easy to research people – I’m not sure Google existed in 1998. But when you meet an actor for an audition now, what do you expect of them? Joe Harmston: Well, not a lot, actually. I think the most I expect of them is that they have read the play, understood it and have some sense of who I am – not in a terribly grand way, but occasionally you have a meeting and an actor will say to you, ‘sorry, who are you, what have you done?’ and that’s not really the best way to make friends and influence people. But personally I’m not interested in a great deal of preparation on the part of the actor, because what I want to do is see if I like them as a person. CN: So you see it as a microcosm of the rehearsal room? JH: Yeah, I’m trying to find a group of people who I think are going to get on well in rehearsal, and therefore be creative together. So I guess what I’m looking for is people who are going to ask themselves the right sort of questions about the play and are going to be engaged and interested. For example, I don’t want people to come into an audition having decided on a performance. CN: So, off-book, for example – you’d never want that? CN: – and then they throw themselves. CN: Are you surprised by that lack of flexibility? CN: So they can talk the talk? 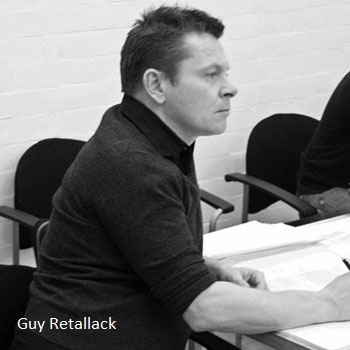 CN: I can remember meeting Guy Retallack for my first ever theatre job. It was ‘Dangerous Corner’ at the Watermill, and I had a brilliant time – and I was talking to the actor who had sat in at the audition who told me that one of the reasons I got it was that Guy had asked me to make a particular choice about the character, and I said, ‘No, I think that’s the sort of thing I would leave for the rehearsal room’! For some reason that made him think, ‘This person is interesting’! Would you have cast me? JH: I would have done as well, yeah, I would be interested in somebody who’s showing that they had ideas. I don’t want an actor who’s just going to do what I tell them to do. I think good directing is knowing what are the right questions to ask, and you‘re stupid if you think you’ve got all the answers. CN: I imagine one of the key things about directing is that you need to be able to adjust your method to each particular actor? JH: I always think that at the beginning in the rehearsal room, you’ve got 12 people who all speak different languages, and your job is to speak to them in their own language. The process of rehearsal is about creating a shared language so that at the end you’ve got everybody speaking the same language. The first part is always very difficult because you’re speaking Russian and German and Flemish, and sometimes you forget which language you need to speak to someone in. CN: Particularly for a very light text like ‘Hay Fever’. JH: Yes. I seem to recall we actually got her to burn her notebook – we had a sacrificial burning of it. It wasn’t that actually the work wasn’t useful, but it was all just about that, rather than what else was happening. She couldn’t be in the moment. 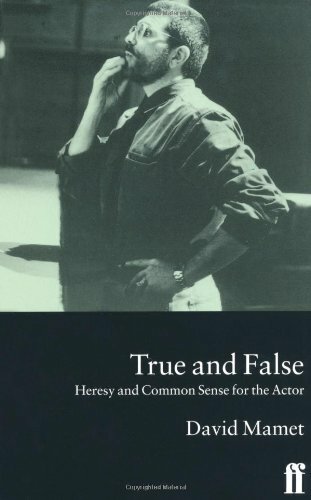 CN: I can remember when I was at LAMDA, David Mamet’s ‘True and False’ came out and we all just loved it and devoured it; it became the new Bible for us, for a while anyway. JH: I think the good thing about ‘True and False’ though was that it was less prescriptive. 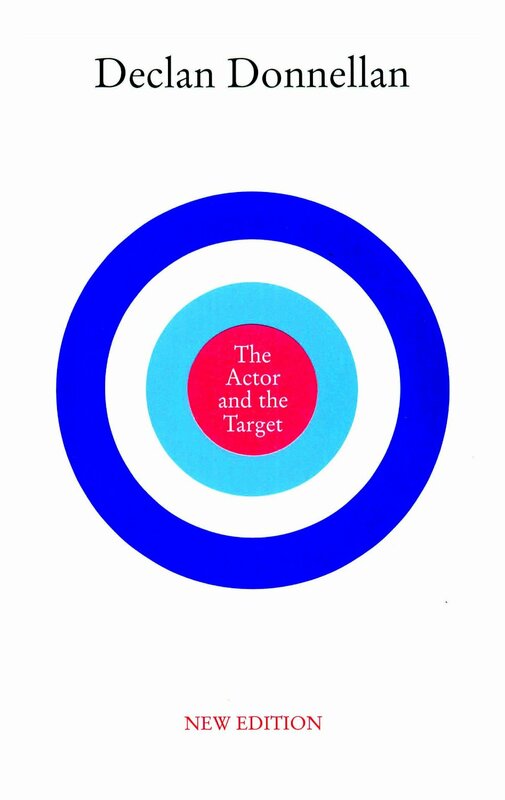 JH: Yes, and it was very much an overview and an approach, where as so many of the books like Declan’s are about, you know, on page 26 there is the exercise you do, and you know, any text you can treat like this – and you think, ‘Ooh, no no no.’ But you’re right, the Mamet – suddenly there was a real vogue for it. I remember Bill Nighy giving it to me and saying, ‘Have you read this? You’ve got to read it’. Everybody was on about it. CN: Do you find that sort of things crops up mostly with young actors? This entry was posted in interview and tagged actors, agatha christie, audition, belgrade theatre, bill kenwright, bill nighy, christopher timothy, dangerous corner, david mamet, declan donellan, donmar, guy retallack, harold pinter, Hay Fever, j b priestley, joe harmston, king james' ear, LAMDA, noel coward, rehearsal, stephanie beacham, strindberg, the actor and the target, the collection, the father, the lover, TMA awards, true and false on October 29, 2014 by chrisjnayloractor.